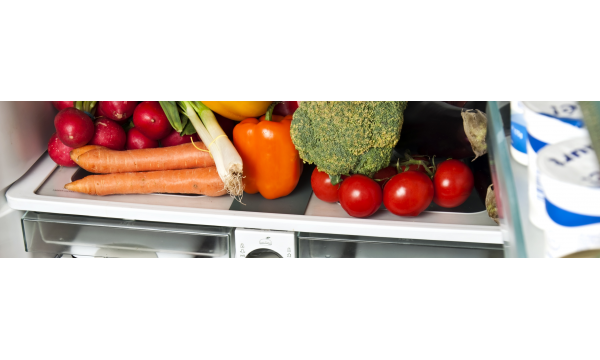 Follow these tips to ensure your fruits ,vegetables and other produce stay fresh for as long as possible. Store potatoes in a wooden box that is well-ventilated on the top and bottom, or in a wire basket. Keep them in the dark, as light will produce green spots on the potatoes that are harmful to your health. Throw out any affected spuds. Potatoes can withstand temperatures down to 2°C (35°F); if it gets colder, cover them with straw or hay. Unfortunately, when potatoes are stored improperly they lose their vitamin C content. Cover carrots with damp sand in a box to give them prolonged life. Hang squash in a pair of old (clean) pantyhose to decrease the strain of their own weight. Tie cabbages together by the stem and hang them on wires or beams with the heads hanging downward if possible. They can also be stored on wooden shelves with good ventilation, but be sure to check them frequently and remove damaged leaves. Store endives and root vegetables in a bed of sand on the floor. 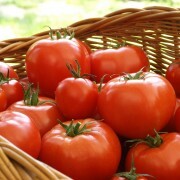 Tomatoes stay fresh for a long time when you place them on boards on the floor without touching one another. In the fall, you can even pull up green tomatoes along with the stalks, tie the roots together and hang them in a cool, well-ventilated area. In time, you'll have vine-ripened tomatoes. 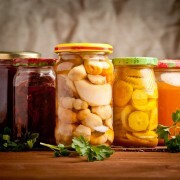 If your cellar is too small and you don't have a garage, store produce in the yard. A shady place near your house is the best choice. Carefully place small amounts of vegetables or fruit in wooden boxes and bury them in a pit right under the surface of the yard. Line the box with fine-mesh wire to keep mice and other creatures out. The moisture in the ground keeps the produce fresh. 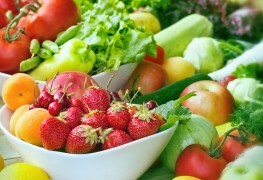 Apples, carrots and celery can be stored for many months. 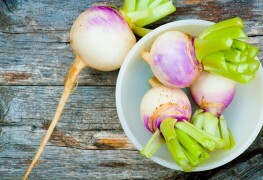 Produce such as garlic, onions and citrus can't tolerate moisture, making them unsuitable for storage in the cellar. After the harvest, dry onions on a wire rack in a patch of sun for a few days, then hang them individually, head-down, in old pantyhose with knots in between to keep them separate. Store in a cool place, and when you need one, just snip it off. Dry and store garlic in the same way. Never store garlic in the fridge or a sealed plastic container. In both cases, the garlic will quickly soften and possibly develop mold. When wrapped in tissue paper and stored in cardboard boxes, oranges and clementines can last a long time in a cool and dark environment. Check them periodically and remove any that begin to rot. Choose oranges that are heavy for their size; these are full of juice and will not dry out as much during storage. Be careful with certain combinations in the storage area: apples, pears and tomatoes should be stored far away from other fruits and vegetables. 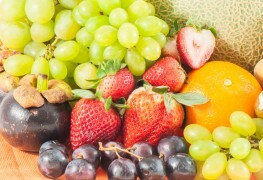 They give off ethylene, which hastens the ripening of other fruits and vegetables. 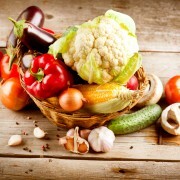 Cabbage and lettuce, for example, can quickly develop leaf yellowing and rot, and carrots take on a bitter taste.